Heading into the season’s end, every game for the UCSB baseball team is incredibly important. Coming off a loss on Tuesday night against No. 8 UCLA, the Gauchos likely need a sweep of UC Davis this weekend as well as teams like Cal Poly and Northridge to lose. UC Davis comes into this game riding a three-game losing streak after being swept by Hawaii just this last weekend. The sweep has left Davis with a 19-34 overall record and in last place in the Big West at 5-19. The Gauchos, despite Tuesday’s loss, have been playing very well. Having won their last five weekend series against Big West opponents, they have climbed into a tie for fourth place at 31-23 and 14-10 in the Big West. Cal Poly and CSUN are in a tie for second with just a one-game lead over UCSB. Northridge will take on first-place Cal State Fullerton this weekend, which should work out well for the Gauchos. Cal Poly takes on a struggling Pacific team that was able to edge a win from UCSB last week, so if the Tigers can do the same this weekend, a sweep of Davis will set the Gauchos for a playoff chance. The Gauchos will rely on the strength of their starting pitchers. In seven of the last nine games, UCSB starters have thrown quality starts, which is six innings of allowing just three earned runs or less. Tuesday’s starter, freshman Justin Jacome, just missed qualifying as he needed one more out. He still pitched five-and-two-thirds innings, allowing just two runs to UCLA. The weekend starters for the Gauchos have been stellar lately. Friday’s starter sophomore Austin Pettibone has thrown 17 innings over his last two starts and has allowed just two runs in that period. On the year, Pettibone sits with an 8-3 record and 3.00 ERA. He leads the Big West Conference with 102 innings pitched and is the only pitcher to have reached the 100 inning plateau so far this season. Through the struggles this season, Davis has had some players stand out this year. Sophomore designated hitter Nick Lynch ranks third in the Big West with a .361 batting average this season. Thanks to his high average and knack for getting hit by pitches, a Big West-high 20, Lynch is also third in the conference with an on-base percentage of .444. Sophomore outfielder Tino Lipson has scored the second-most runs for the Aggies with 30, thanks to his .340 batting average. Lipson also boasts an OBP of over .400. With runners aboard quite often, sophomore John Williams finds himself in very productive positions and ranks eighth in the Big West with his 38 RBI on the season. As a team, the Aggies have the highest batting average and the second-most runs scored in the Big West; however, the reason the team finds itself in the cellar of the conference is due to their inability to pitch effectively. The UC Davis pitching staff has given up the second-most hits, the second-most runs and allowed the most walks. The Gaucho offense that has only been tamed recently by the Bruins will have a chance to take advantage of every base runner allowed this series. The Gauchos and Aggies will lock up this Thursday and Friday afternoon at 2:30 p.m. On Saturday, the two teams will round out the regular season at 1 p.m. at Dobbins Stadium in Davis. 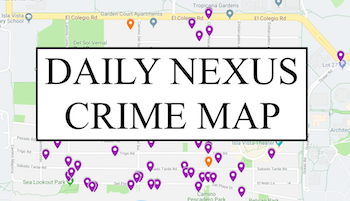 A version of this article appeared on pages 1 and 8 of May 23, 2013’s print edition of The Daily Nexus. 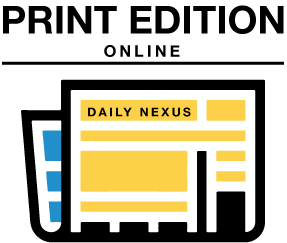 Photo by Mark Brocher of The Daily Nexus.